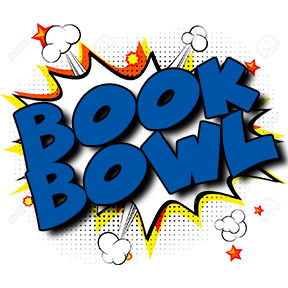 What is the Book Bowl (aka Battle of the Books)? Book Bowl is a reading competition for fourth and fifth grade students in Wisconsin. The West Side Book Bowl group has our own list, which you can see on this page. To participate in the competition, students read books from the Book Bowl list. Then, teams answer questions about the books in an exciting competition! Stephens will have their battle in February, with the multiple school competition occurring in March. Stephens Elementary will send one group from each grade to represent our school in March. Who can participate in Book Bowl? Fourth and fifth graders who are eager to read and test their reading skills! Students will form groups of four to read, study, and compete. Each group is responsible for reading twelve or fifteen books, and coming up with a plan to distribute responsibility. Students who are having trouble finding a group should let Mrs. Pavlik know and she can help. The top scoring group from Stephens at each grade level will move on to the West Side Super Book Bowl competition. Why should I participate in Book Bowl? The purpose of the Book Bowl is to motivate students to read, monitor their own comprehension, and work collaboratively with friends. Book Bowl encourages students to read quality literature on a variety of topics and themes. We have designed this competition to promote the important character education goals of teamwork, respect, and good sportsmanship. Right before Winter Break students will form teams and check out the books. I have many copies of the Book Bowl titles. The BB book will be in addition to their four regular checkouts. All the Book Bowl books will be reserved only for BB participants. Students are also encouraged to check the public library for copies if what they need is not available.